"It is the result of a year of sacrifice, work and effort to get to compete at my best. It 'was a very important season for me and I am already working to prepare for 2016." 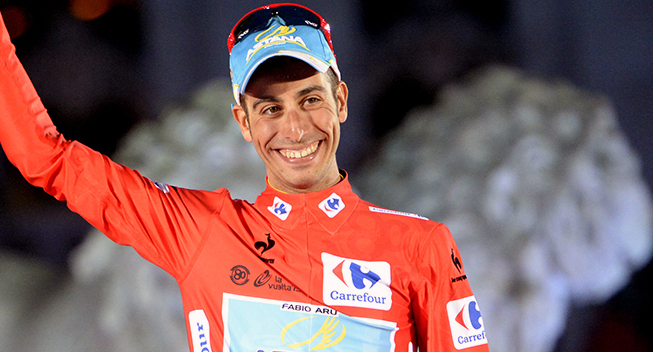 Fabio Aru has won the Performance of the Year prize at the 2015 Gazzetta Awards in Italy. The Astana rider who has just finished what many regard as his breakthrough season, was among the leading figures of the Italian sports world in 2015 and was honoured at the event in his home country. The award demonstrates the importance of his exploits. He earned the prize for two great performances: the penultimate stage of the Vuelta a España 2015 in which he took the red jersey from Tom Dumoulin, and his fight on the Mortirolo at the Giro d'Italia where he overcame a huge crisis to keep his podium chances alive. "It is the result of a year of sacrifice, work and effort to get to compete at my best," the talented Sardinian told La Gazzetta dello Sport. "It was a very important season for me and I am already working to prepare for 2016."